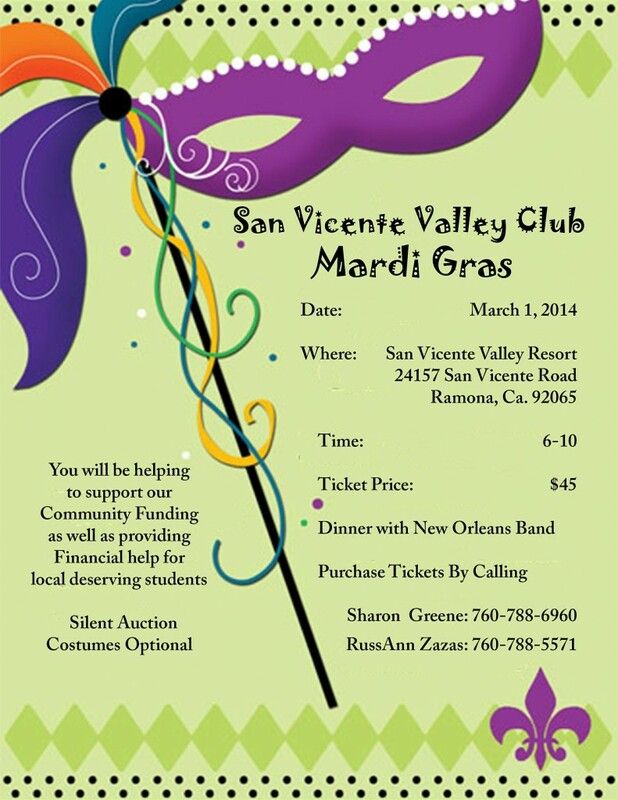 The San Vicente Valley Club’s Mardi Gras Fundraiser took place on Saturday March 1st from 6:00 – 10:00 PM at the San Vicente Resort. The Club changed it up a little with dinner and a New Orleans band. Proceeds from the evening benefit the club’s community funding and student scholarships. The San Vicente Club thanks its many sponsors for their generous contributions! See our list of 2014 Mardi Gras Sponsors.